It’s time for the final five of the Summer10x10: that’s 10 pieces, 10 days and 10 different summer combos! I started out the challenge completely uninspired by my limited summer attire, but just a few days into WEEK ONE had me full of ideas! 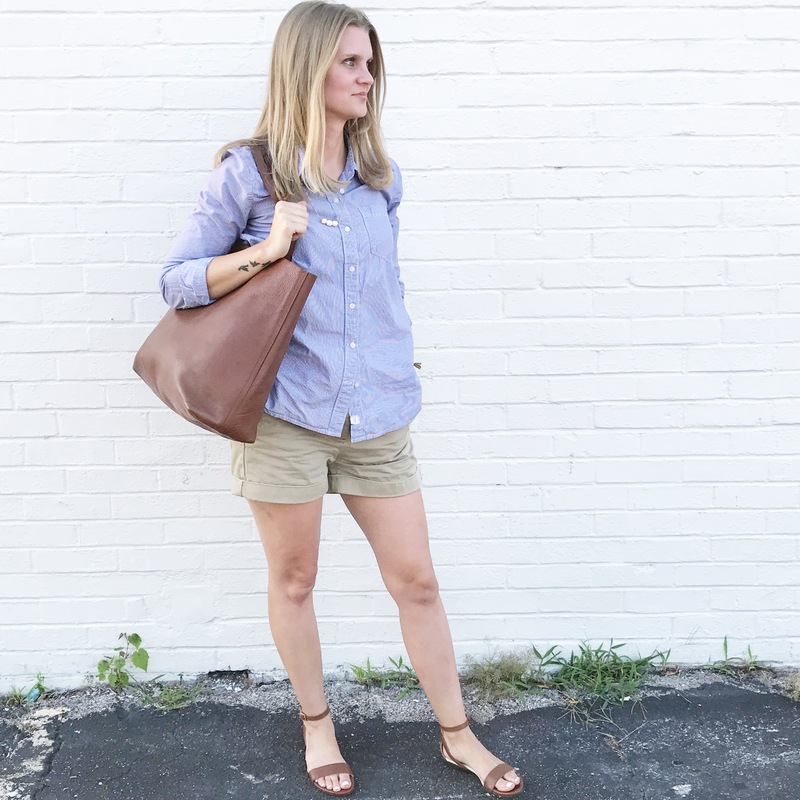 The direction of my style has been headed in the sustainable route for quite sometime, but as I was searching through my closet ahead of week two, I discovered an old, fast-fashion label, button-down shirt-dress I’d forgotten about. It was purchased over five years ago and it’s been worn with boots and leggings, under a faux fur vest, and as a stand alone shirt-dress over the years without needing repair. Even with the fast-fashion label, I feel good that I resurrected it for this challenge as a layering piece and again as a shirt! Although I won’t be shopping that particular brand again, I’m glad I’ve maximized its wear and it’s earned a space in my closet for a bit longer. 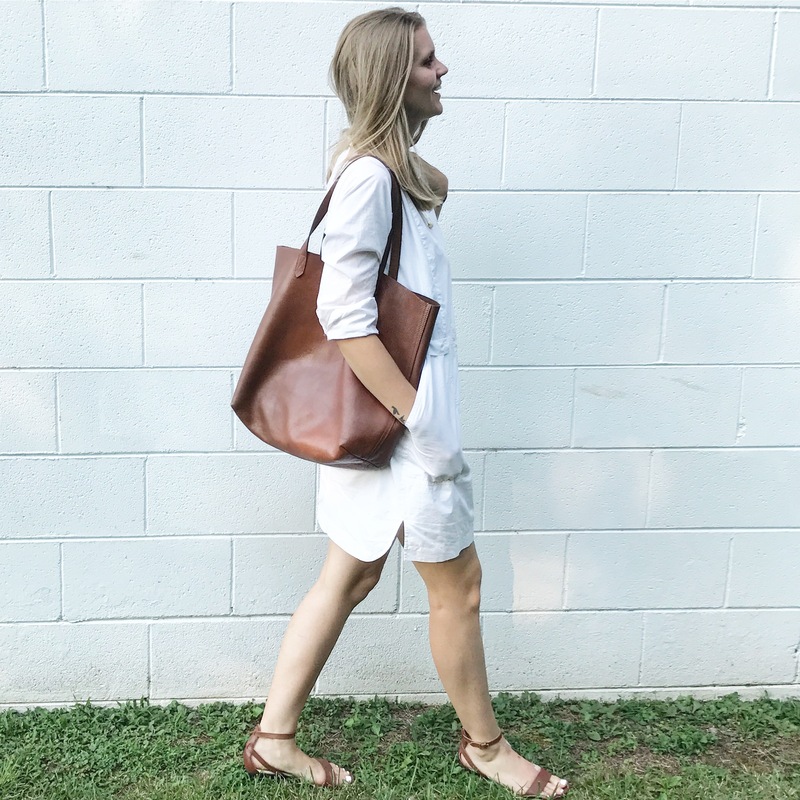 I’ve already mentioned my new Nisolo Serena Sandals and how IN LOVE I am with them, but another favorite purchase this season has been my new-to-me Madewell half button down shirt-dress. I picked it up at Crossroads Trading Company, a secondhand store with locations sprinkled throughout the nation, including Boulder, Colorado where my husband and I spring-vacationed. I’m so excited to style it through the fall and yes- I’ll be smashing the ‘no white after Labor Day’ rule. Again, these styles are by no means revolutionary, but they do a pretty good job of defining my lifestyle. I’ll dig deeper into that when I post my full recap of the challenge soon. I already mentioned the shirt dress as a layering piece and as a, well, shirt; but I must give idea credits to the fabulous fashion bloggers I’ve met since beginning these 10×10 challenges. 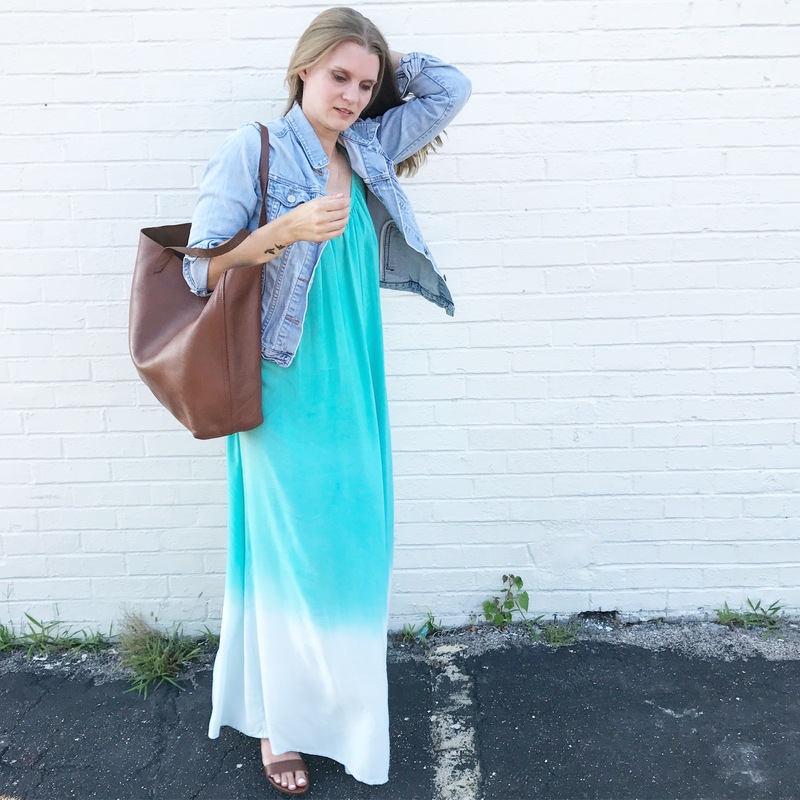 Silk and cotton dresses tend to work best due to their relaxed and flowy nature. The ‘dress as a shirt’ concept has been applicable in colder weather as well. 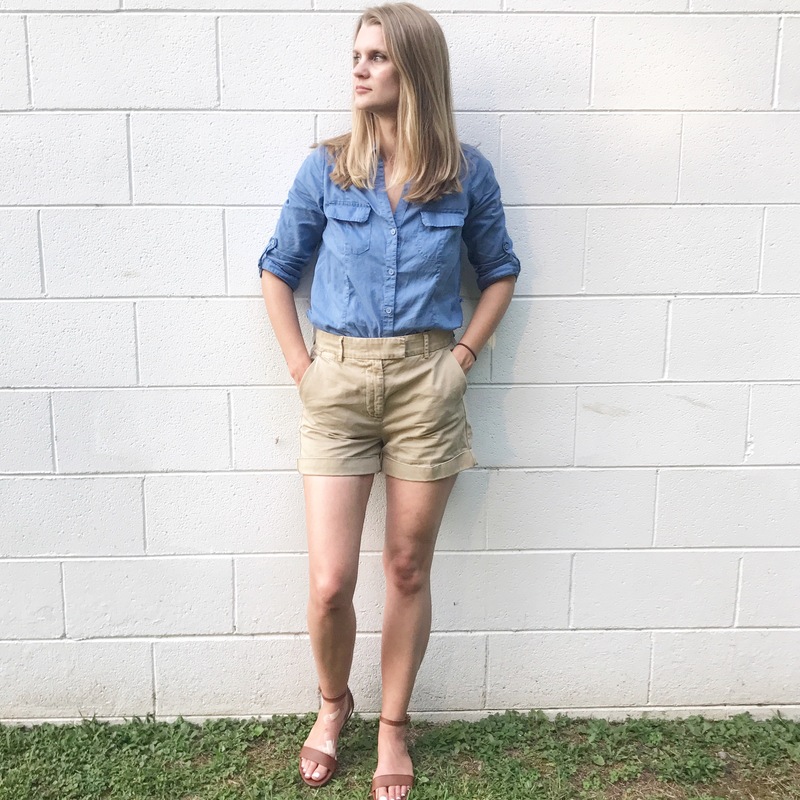 Stay tuned for my final thoughts on my summer style and the challenge!